The Ministry of Human Resources Development, Government of India has come up with National Institutional Ranking Framework (NIRF) to rank all educational institutions of higher education in India. I tried to dig deeper and do some research on my own to find out if this will help us build a better education system for us in the country. Here is a quick weekly roundup about things I liked or found worth sharing this past week. I am inspired by @punchagan's "What I Liked" posts and this seems like a great idea to pursue. I really liked this blog series on Functional Programming, it starts with a good introduction and gradually warms you up to the various functional concepts. I am huge fan of the Hidden Brain podcast, and this last week I loved two of their episodes. My office recently moved to one of the busiest commercial areas in the suburbs, which is good since a lot of people travel there from different parts of the city. The public transport system is good, has a nice frequency and is cheap. But as always with too many commuters come bad traffic conditions and discomfort. For someone like me who wants to minimize the time and cost spent during the commute, while at the same time maximize the comfort this became an interesting problem to solve. [Q] How does it feel to not qualify in IIT JEE? I failed IIT JEE. Got an abysmal score in BITSAT, AIEEE and Maharashtra CET. Its not that I had not tried hard, and I won't be playing the blame games on anyone but the truth is "I had failed". I was very disappointed and so were my parents, and I felt somewhere I have let them down. I was low on confidence. I had to prove my myself, and earn my family's confidence back. This is a collection of few of my python scripts which I am particularly proud of, few gems from collection which were mostly result of my curiosity and laziness ;-). The scripts here are for educational and demo purposes. They were intended to be a proof of concept, not most of them are not maintained. [Q] Do I need to be expert in mathematics to become a great programmer? TL;DR version If you want to become a web/mobile application developer, you don't need to be very good at mathematics. If you are interested in fields like Artificial Intelligence/Machine Learning/Statistical analysis, you will require good mathematical skills if not exceptional. [Q] What is the most important thing you learnt as a software engineer through experience? A few weeks back, I wrote DropHere. Its written using CoffeeScript, Node.js and Express.js and some HTML5 Drag and Drop APIs. 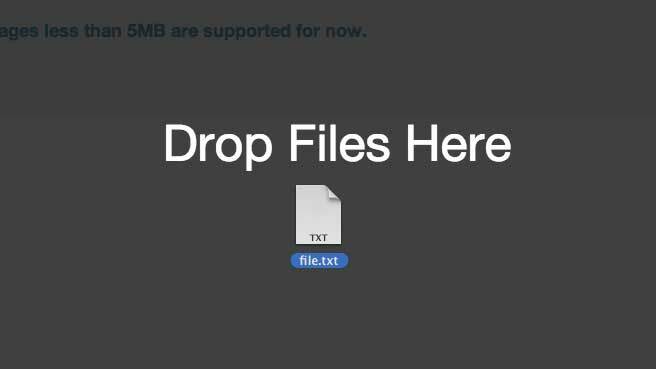 I created this project as a simple drag-and-drop file uploading service. It uploads files to relevant file uploading service. For example, if you drop an image file, it will be uploaded to Imgur and similarly text files will be uploaded to Pastebin. You can check out the live demo over here.